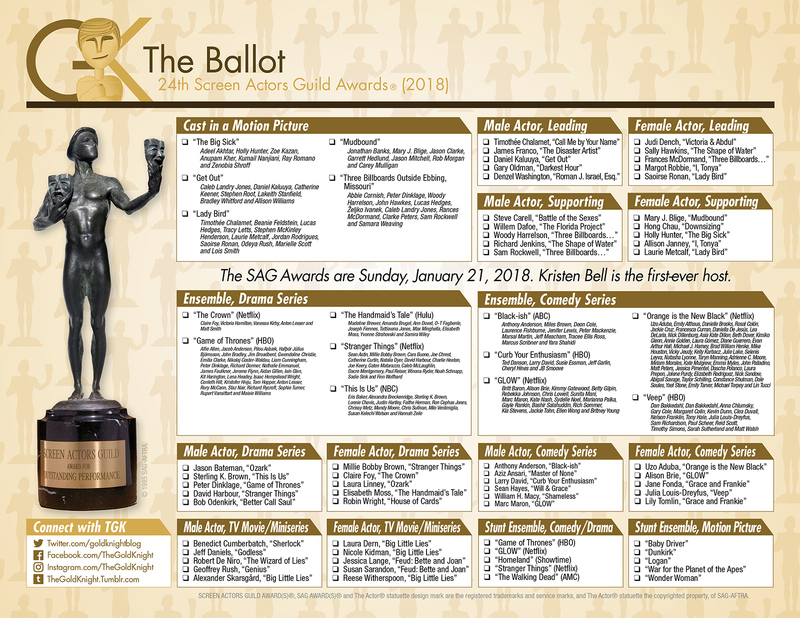 Get ready for the 24th Screen Actors Guild (SAG) Awards on Jan. 21 with a printable ballot. 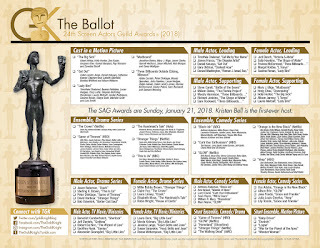 Awards season is in full swing and next up: the 24th Screen Actors Guild (SAG) Awards on Sunday. To get ready for the big night, download and print out this ballot and pass out at your workplace or during your party (go here to download the PDF). It's in glorious color. In the film categories, “Three Billboards Outside Ebbing, Missouri” leads nominations with four, followed by “Lady Bird” with three. 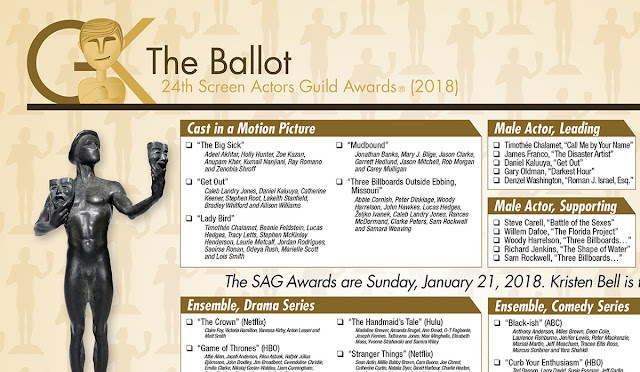 In the television categories, “Big Little Lies,” “Stranger Things” and “GLOW” lead with four nominations each (including in the stunt ensemble category, for the latter two). Netflix was the big winner of the morning in the television categories, with 19 nominations, followed by HBO with 12. First-time (individual) nominees are Aziz Ansari, Mary J. Blige, Hong Chau, Sally Hawkins, Daniel Kaluuya, Marc Maron and Margot Robbie. A reason to tune in: Kristen Bell will serve as first-ever host. Bell currently stars in the NBC comedy “The Good Place,” opposite Ted Danson. This year, she will star in the Netflix comedy ”Like Father,” with Kelsey Grammer as her titular dad. Viewers may hear some singing on Sunday. Bell voiced the role of Anna in Disney’s ”Frozen,” the highest grossing animated film of all time. She will reprise the role in the sequel planned for 2019. Another reason to tune in: Morgan Freeman is set to receive the 54th Annual SAG Life Achievement Award. The 24th Screen Actors Guild Awards will be simulcast live on TNT and TBS on Sunday, Jan. 21, 2018 at 8 p.m. (ET) / 5 p.m. (PT). 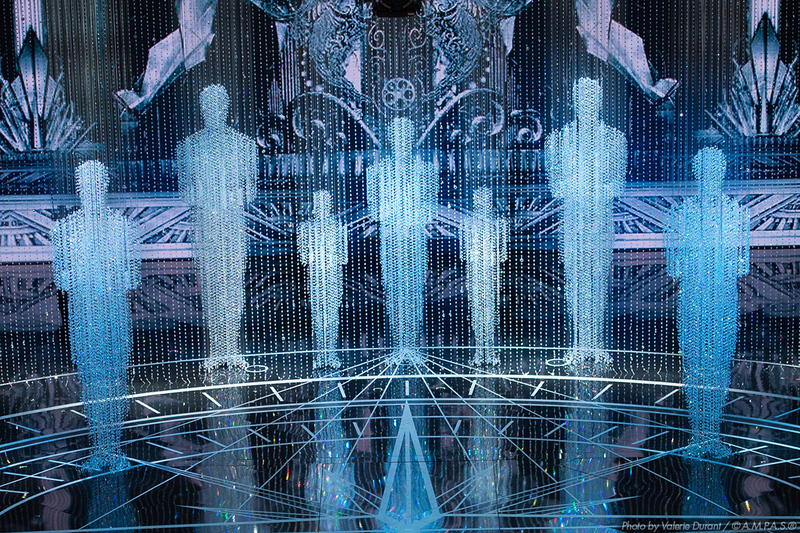 Prior to the televised ceremony, the honorees for outstanding action performances by film and television stunt ensembles will be announced during the SAG Awards Red Carpet Pre-Show webcast. The 24th Annual SAG Awards, hosted by Kristen Bell, will be simulcast live on TNT and TBS on Sunday, Jan. 21, 2018 at 8 p.m. (ET) / 5 p.m. (PT). TBS and TNT subscribers can also watch the SAG Awards live through the networks' websites and mobile apps. In addition, TNT will present a special encore of the ceremony at 11 p.m. (ET) / 8 p.m. (PT).